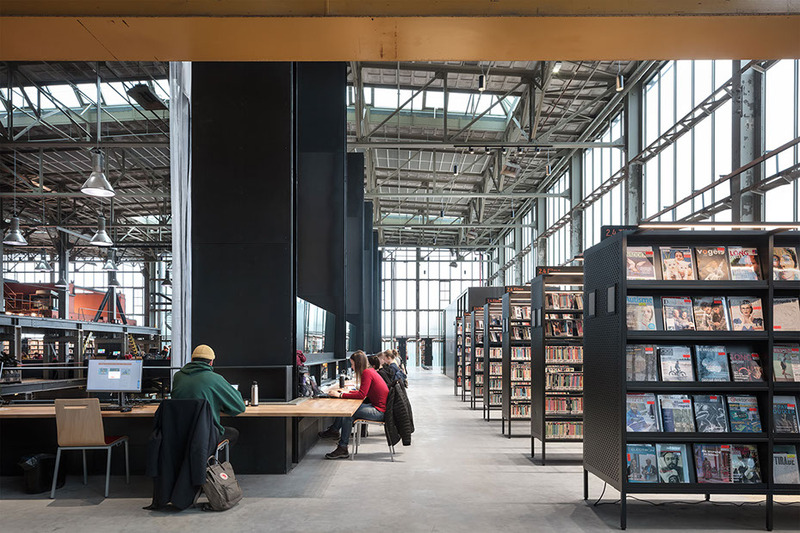 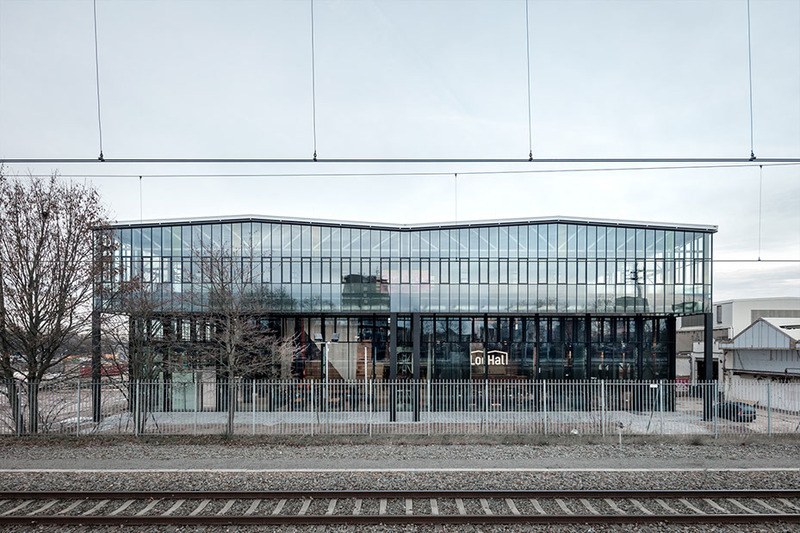 Without sacrificing any of its industrial charm, Dutch architects transformed an old train shed into a gorgeous library and community event space. 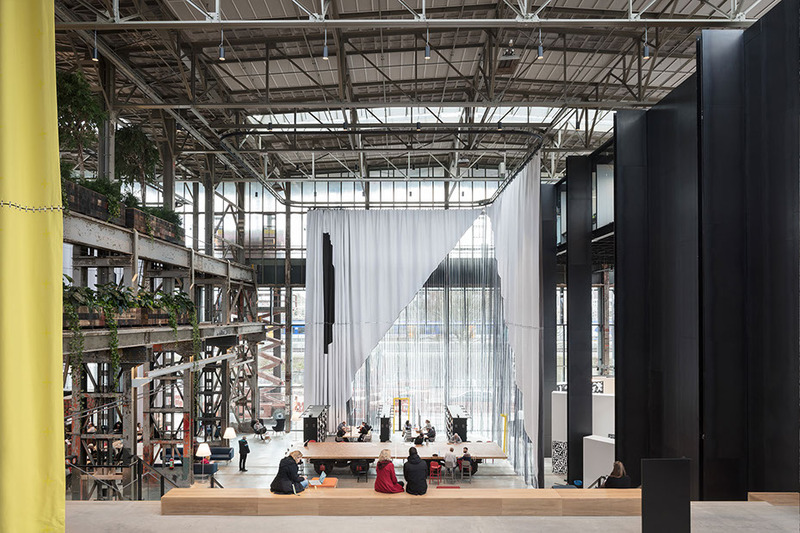 “LocHal” is Tilburg’s “new public city forum,” says Civic Public Architecture, which completed the project alongside Braaksma & Roos Architects and interior design firm Inside Outside. 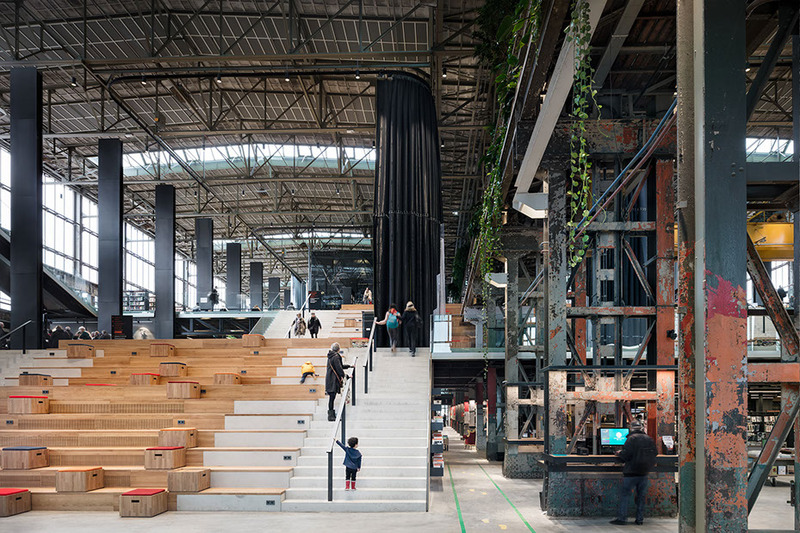 Not only have they proven the extraordinary potential for reuse of such structures, they’ve infused life back into a disused zone of the city in the process. 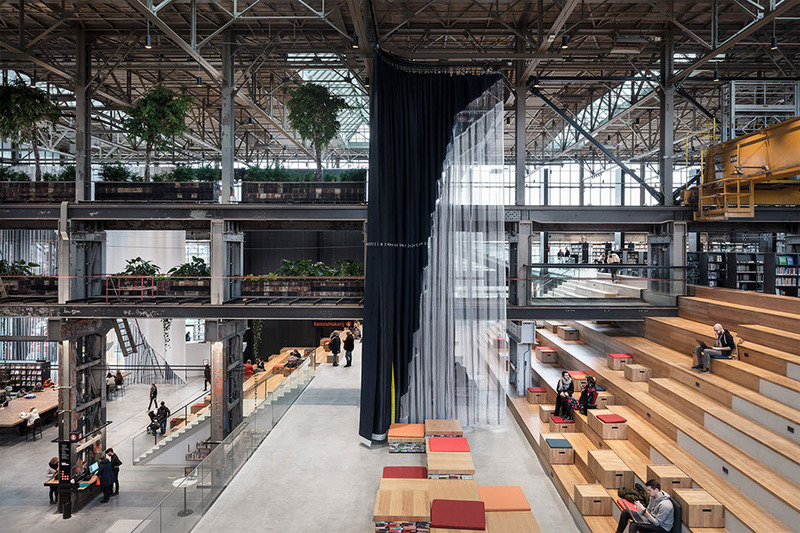 The architects chose not to repaint original elements like flaking steel pillars, simply adding newer, sleeker materials alongside them in a contrast between old and new that’s particularly striking in areas where greenery drapes down from balconies. 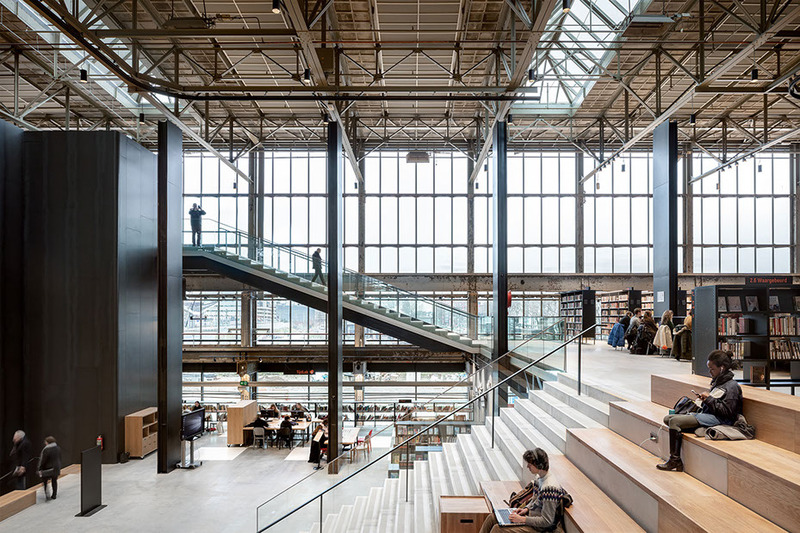 The result is a fitting tribute to the neighborhood’s history that adapts beautifully to modern needs.